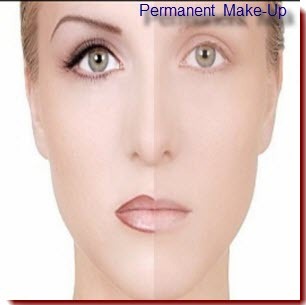 Permanent Make Up – This is a cosmetic treatment which consists of the application of eyeliner, lip liner, eyebrows, and lipstick by means of a tattoo on the area. This treatment is performed with a small needle tool, the desired pigment which is applied to the chosen area, and numbing cream which is left on for 30 minutes prior to the treatment taking place. Numbing cream is applied throughout the treatment to ensure you have a comfortable and painless experience. The area treated may take up to a weak to heal, and lasts about 2 years and then a touch up is recommended.